If you think there’s nothing better than a theme park then think again, because a cheese theme park exists, and it looks incredible. 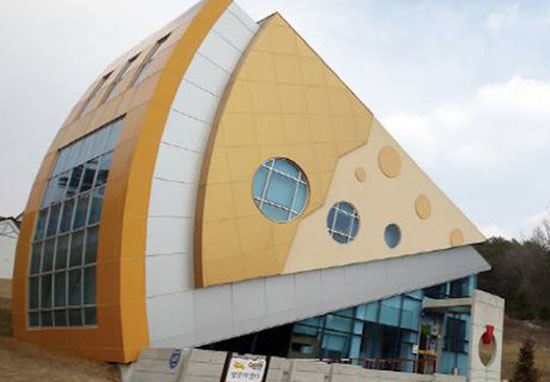 The Imsil Cheese Theme Park spans a glorious 32 acres in South Korea’s North Jeolla Province, and if you’re the type of person who’s; invested in a cheese advent calendar, thinks the best part of a meal is the cheese board, and can’t resist a baked camembert, then this is the place for you. I know, I know, you can’t brie-lieve such a gouda place exists, and you camembert to spend one more minute of your life in a place that isn’t dedicated to all things cheese. As you may have guessed from the amount of cheese involved, this isn’t your average theme park, and there aren’t actually any rollercoasters there. That’s probably for the best though – after being spun around on a ride I can’t imagine the smell of a ripe blue cheese would help that sickly feeling, and there’s stiltons of fun to be had even without the rollercoasters. Instead, the theme park offers trails and different attractions all with their own nod to the cracker’s best friend. According to the Mirror, attractions include mini cheese-themed rides, cheese making classes (don’t you just leave milk for a really long time?) 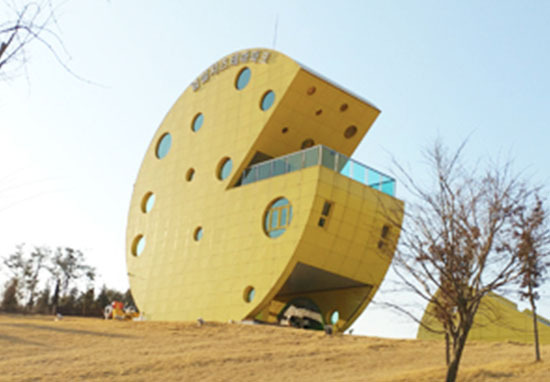 and even buildings designed to look like the food. I wonder if they have a big mice problem there? Exhibits and displays walk visitors through the area’s history and the cheese making culture, and the park offers plenty of opportunities to sample the local cheese. If you find your new favourite you can also visit the on-site shop to make sure you leave with ample supplies. If you’re hoping to enjoy a mature time but have little ones running around, you can pack them off to the cheese-themed playground or keep them entertained by meeting some of the goats who are key to producing tasty cheese. The region in which the theme park is located is tipped by locals to be one of the best cheese-producing parts of the country, so you can be sure you’re in safe hands while having a truly top-quality experience. Once you’ve successfully consumed your body weight in dairy products, you can walk off that full feeling along the scenic trails, which are dotted with fairytale scenes. On the trails, the Smurfs will even put in an appearance as they stand up to their enemy Gargamel. 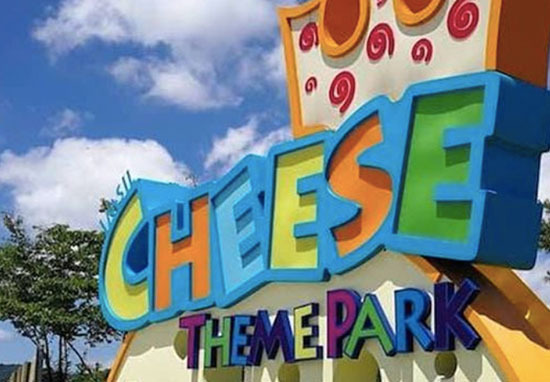 I admit, it’s a very random addition to the theme park which is otherwise entirely cheese-themed, but I suppose it’ll keep visitors entertained. Are Smurfs known to be great lovers of cheese? If that’s the case, they should have Wallace and Gromit wandering around on the hunt for some Wensleydale. The park should certainly be on the bucket list for any cheese-lovers, because a study has found, eating cheese could help you live longer – you should have plenty of time to make the trip there!